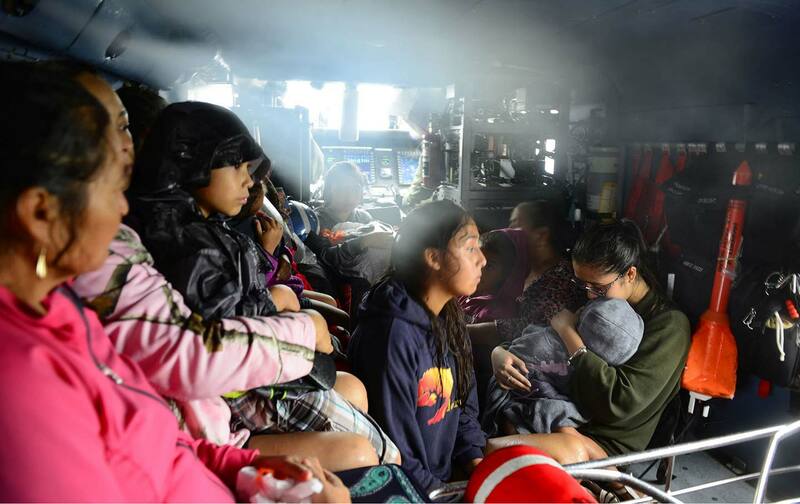 Adding to the usual back-to-school worries, the tropical storm has brought fears of homelessness and deportation to the mix. Corpus Christi’s schools were supposed to start the new semester on Monday, but instead of preparing to welcome a crop of excited youngsters streaming into class on a balmy Texas morning, Nancy Vera spent the day rushing to coordinate teachers and students in the midst of a disaster zone. That night, in the dark at home, stained with gasoline from wrestling with her emergency generator, Vera spoke on a spotty line about Harvey’s lessons for a city under political and ecological siege. Although the school buildings are thought to be mostly structurally safe, it’s unclear when schools will be fully operating. As head of the local branch of American Federation of Teachers, Vera has been coordinating relief efforts and tracking evacuees in the school community. Hopefully electricity will be fully restored soon and classes can resume by the week after Labor Day. But it will be a while before normalcy resumes for the district. Though Corpus Christi was spared the worst of Harvey’s flooding, the damage is significant, and with many families in limbo after evacuating flooded areas across the state’s coastal region, local schools are working to bring in students displaced from devastated neighboring areas like the flood-drenched town of Rockport. Teachers, who were short-staffed before the disaster, must now marshal extra classroom space and social supports for struggling storm refugees. The teachers’ union has been coordinating basic resources for the whole community, including serving as a hub to connect people with relief resources, providing teachers and students with emergency supplies, and distributing food. The disruptions to the school year are aggravated by underlying tensions that have escalated under Trump, especially with harsh Immigration and Customs Enforcement crackdowns that have terrified the state’s massive immigrant population. The state’s right-wing legislature, aligned with the White House, has imposed one of the country’s most extreme anti-immigrant laws, SB 4, which would outlaw so-called sanctuary cities, barring municipal governments from seeking to restrict public agencies from cooperating with federal immigration-law enforcement. Corpus Christi, a working-class, mostly Latino city, where per capita income is around $25,000 a year, and over a quarter of kids live in poverty, is tasked with aiding displaced residents and protecting immigrant families from expulsion. Many children who hunkered down in storm shelters are also bracing for a legal doomsday, with the administration’s pending decision on the repeal of Deferred Action for Childhood Arrivals, which offered tens of thousands of undocumented youth in the region temporary reprieve from deportation. While Corpus Christi keeps its doors open for Harvey’s refugees, Vera isn’t so sure about welcoming President Trump’s visit to the city this week. To her community, Trump represents exactly the kinds of political forces that have controlled Texas for years and made the public more vulnerable nature’s fury, by letting corporate-driven urban development sprawl, while local infrastructure crumbled. As Corpus Christi works to rebuild, Vera says, the consequences of years of disinvestment in public education will surface. “Unfortunately because the state of Texas doesn’t prioritize education,” and has been reducing funding for years, “it’s difficult to say that we have adequate resources and person power to be able to service all the children.” School districts were, right up until Harvey made landfall, absorbing the latest round of slashes to state educational aid through cutbacks to operational budgets, or by curbing other public spending, such as infrastructure funds. Back on the streets of Corpus Christi, she sees former local students who, as grown-ups, are mobilizing to help their neighborhoods recover. Though the president might have overlooked such scenes while posing for photo ops on his visit, the lesson on good citizenship isn’t lost on the folks who’ll still be here when the floodwaters recede.